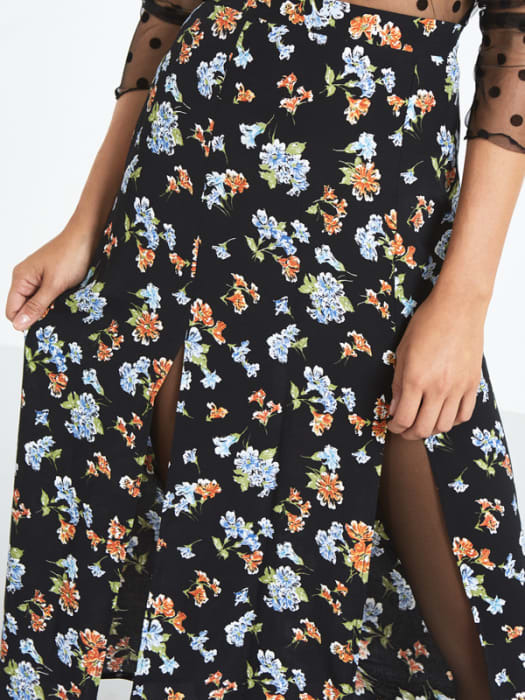 Florals for new season? You better believe it! 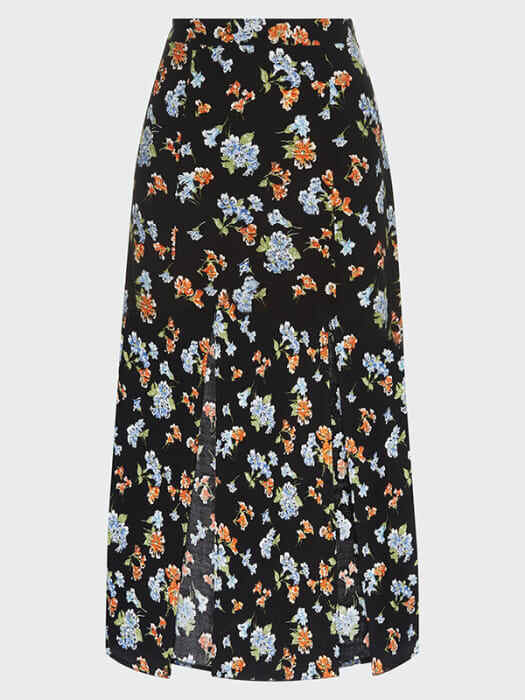 Sitting high on the waist, this calf-brushing Midi Skirt comes in a black colourway patterned in blue and yellow blossoms, while a thigh-high split creates look-at-me movement. 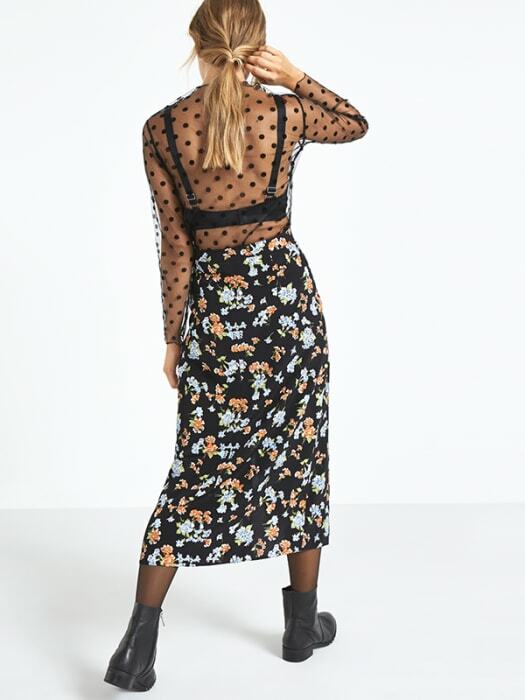 Pair with our spotty mesh top for a fash-blogger worthy combo.